We offer a huge array of industrial steel pipes and tubes that are manufactured using high quality of steel and alloy. 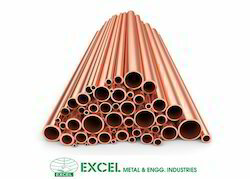 -Copper alloy pipes and tubes. Knowing us a renowned organization, we are engaged in offering an extensive range of SS 321 Seamless Tube to meet the demands of our clients. This Stainless Steel 321 Seamless Tubes is designed by the team of well qualified designer and processed under the strict supervision of experienced team-members. We deliver our assignments using customized packaging. Furthermore, our offered range of products is availed in various specifications, as per the varied needs of our valuable clients. We stocks both drawn and extruded aluminum pipe. 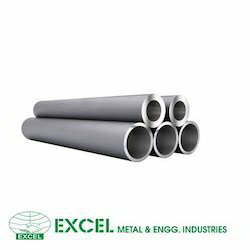 Our extruded aluminum pipe is stocked in both seamless and structural (port-hole die). Whether you have a pressure or structural application, our product line can cover your needs. Light weight, excellent corrosion resistance, and the ability to transmit heat rapidly are only a few of the benefits of aluminum pipes. We stocks 6061, 6063, 5083, and 5086 alloys in extruded aluminum piping in the tempers of T6, T6511, O, H32, and T52. 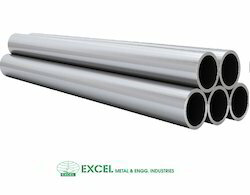 We also carry a drawn aluminum pipe product in 6061 alloy with a T6 temper. 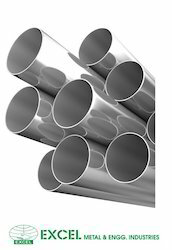 Due to the diversity of its properties, extruded aluminum tube is used in a variety of industries/markets. We stocks a deep inventory of standard sizes of seamless and welded stainless instrumentation tubing. Our inventories primarily consist of the austenitic grades of 304, 304L, 316 and 316L, in a size range from 1/4” to 1/2” outside diameters in straight lengths and coils, where applicable. 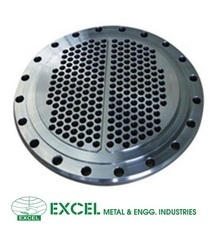 Material is stocked in the annealed and pickled, bright annealed, mill finish and polished conditions. These are the four most popular austenitic grades of stainless steel which provide excellent overall corrosion resistance. Alloy 20 TubesWe offer a wide range of alloy tubes like alloy 20 tubes, alloy seamless tubes, alloy erw tubes, alloy welded tubes, custom alloy 20 tubes, which is impeccably designed to meet with various industrial functions. These tubes are offered by us in a variety of sizes and are offered at industry leading prices. We also meet customized requirement for our clients benefit. Emei offer a range of products specifically meeting the demands and specifications required in the fabrication of shell and tube heat exchangers. We design and manufacture tubes for the HX market that fully meet the requirements in terms of price, delivery and specifications. 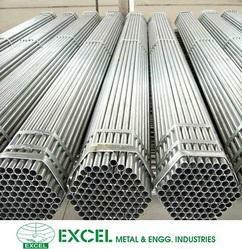 Our heat exchanger tubes are used for the cooling, heating or re-heating of fluids, gases, or air in a wide range of industries, such as chemical processing, hydro carbon processing and oil refining, nuclear power generation and aerospace. These high performance tubes are available at dimensions between 12.70 mm and 38.10mm OD, which covers the majority of the standard sizes used. However, Fine Tubes also specializes in the development and production of small diameter thin wall tubing associated with applications in the aerospace and nuclear industries. Our minimum size here is just 0.98mm OD with a 0.04mm wall thickness. heat exchanger tubes can be supplied in straight lengths up to 20m. Completed packages of U-bent and C-formed tubes can be supplied ready to be installed in the tube sheet of shell and tube heat exchangers. 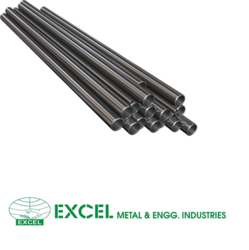 We offer wide range of Monel Tubes like monel 400 tube, monel 500 tube, seamless monel tubes, erw monel tubes and welded monel tubes. 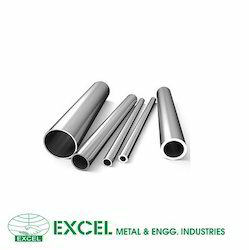 Monel Tubes are available in following Types Range and Grades. 6.35 mm OD upto 152.4 mm OD in 0.6 TO 10 mm thickness. Round, Coil, U Tube, Pan Cake. Standard : ASTM / ASME SB 163 / 165 / 167 / 464/ 517 / 619 / 622 / 626 / 704 / 705. Knowing us a renowned organization, we are engaged in offering an extensive range of SS 310 Seamless Tube to meet the demands of our clients. This Stainless Steel 310 Seamless Tubes is designed by the team of well qualified designer and processed under the strict supervision of experienced team-members. We deliver our assignments using customized packaging. Furthermore, our offered range of products is availed in various specifications, as per the varied needs of our valuable clients. 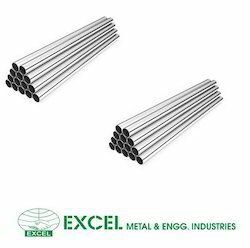 We are one of the leading manufacturers, suppliers and exporters of Stainless Steel Capillary Tubes. Electro Polish Tube offered comes in durable construction finish and meets the demands of longer service life. Further, these also come with anti-corrosion protection as well as oxidation resistance properties. Some of its features include available as per industry standards like JIS, DIN and others; choice of different surface finishes like mirror polish, matt finish, electro polishing; used in industry sectors like Food & Beverage plant, Pharmaceutical plant and others. 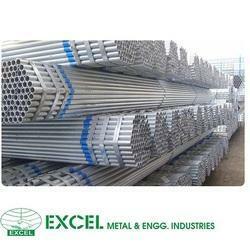 Products supplies welded tube per ASTM A 269, ASTM A 249 or as rolled and welded. We supply common grades of stainless such as 304/304L and 316/316L in standard tube sizes and wall thicknesses, as well as more challenging stainless welded tube requirements including 304H, 316H, 309/S, 310/S, 317/L, 321/H, 347/H, 410, 410S, Duplex 2205, Duplex 2507, and more. We can even supply material with wall thicknesses up to 3″ thick! Diameters sizes range from 1/8″ up to 96″. All welded tube products can be cut to size. Specialty testing services can also be provided. Stainless tubes can be polished per request and cut to size. a titanium tubing supplier, stocks a focused inventory for the aerospace industry, for both the commercial and military markets. Titanium tubes are the ninth most abundant element in the earth’s crust and the seventh most abundant metal. Its low density, slightly over half that of steel, and its high strength combination is the reason for the metals growing preference in both military and commercial aircraft. The alloying of titanium tubing with elements such as aluminum and vanadium increase the strength of titanium while at the same time retains its weight advantage over steel. Even though our inventories are tailored to the aerospace industry, titanium tubing is used in many other industries/markets. · Sporting goods - golf shafts, bicycle frames, etc. Titanium is classified in two categories, commercially pure and alloys with additives such as aluminum and vanadium. We are a titanium tubing supplier, and our inventories consist of both types and cover both seamless and welded methods of manufacture. Material Grade as per req. Medium Used as per req. Nominal Size as per req.